Commonly known as corn throughout much of North America, maize is a distinctive emblem of the harvest season. It is one of the most economically important crops in the world (the third most important cereal after rice and wheat) and has scads of uses from food to feed to fuel. The story of its domestication serves as a symbol of human ingenuity, and its plasticity in both form and utility is a remarkable example of why plants are so incredible. 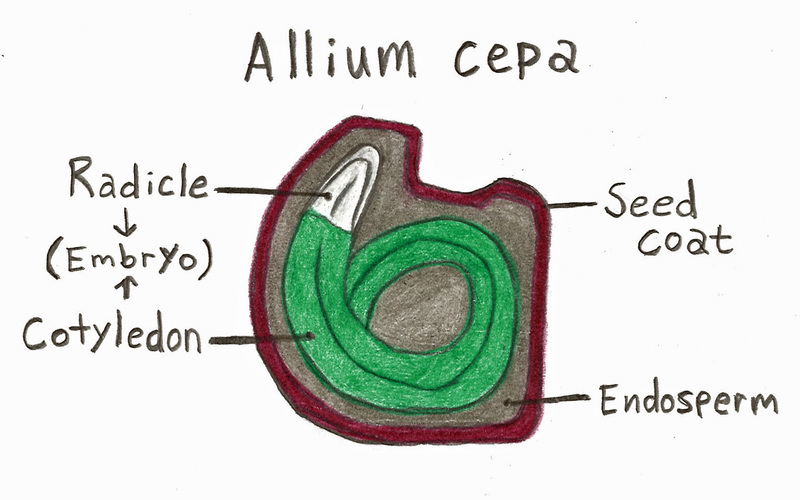 The genus Zea is in the grass family (Poaceae) and consists of five species: Z. diploperennis, Z. perennis, Z. luxurians, Z. nicaraguensis, and Z. mays. 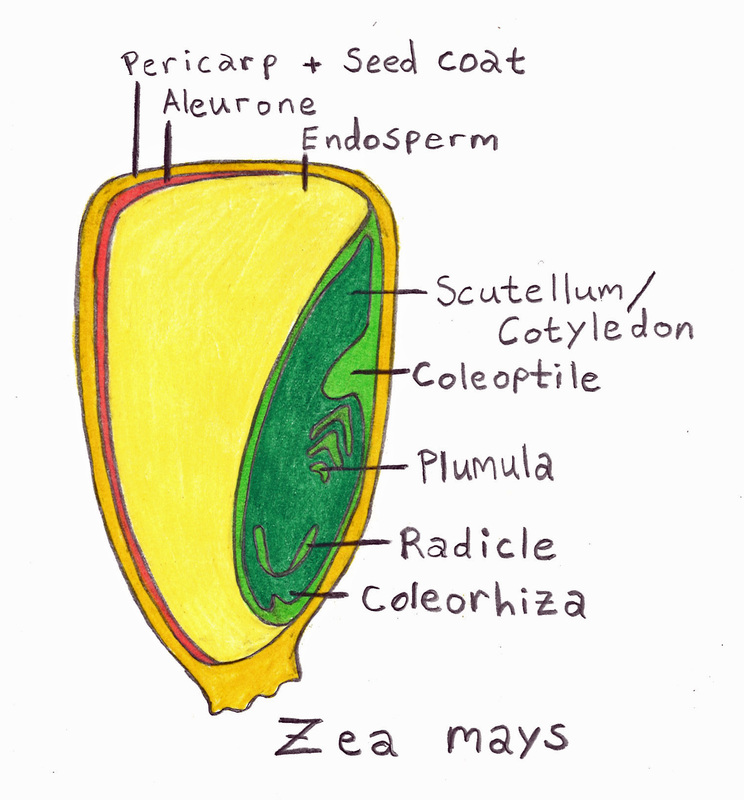 Maize is the common name of Zea mays subsp. mays, which is one of four Z. mays subspecies and the only domesticated taxon in the genus. 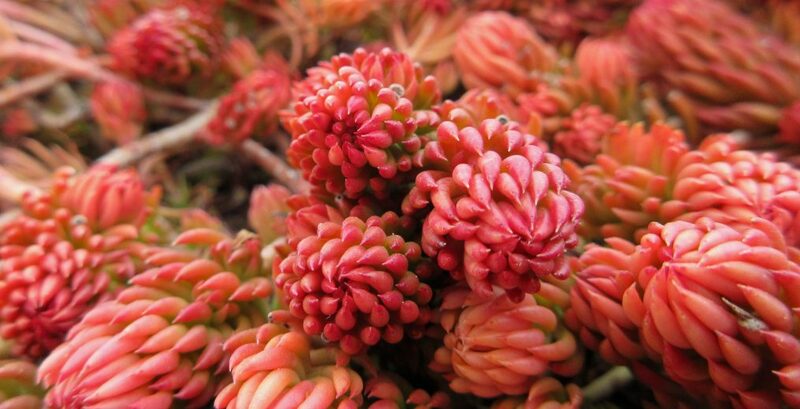 All other taxa are commonly and collectively referred to as teosintes. 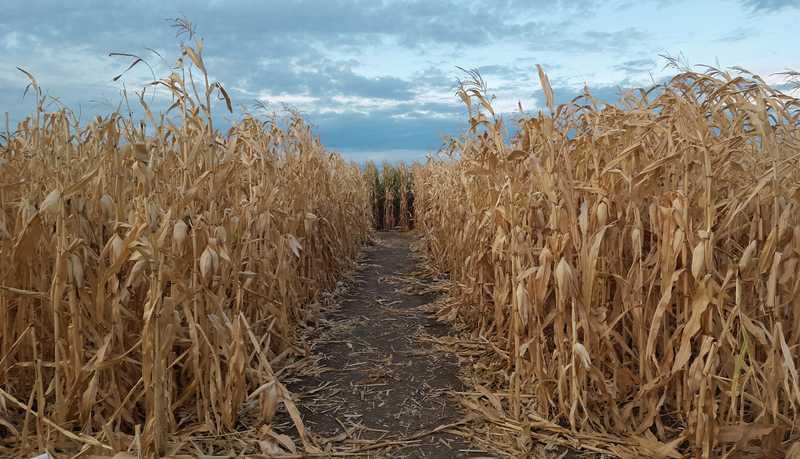 The domestication of maize, apart from being an impressive feat, has long been a topic of research and a challenging story to tease apart. 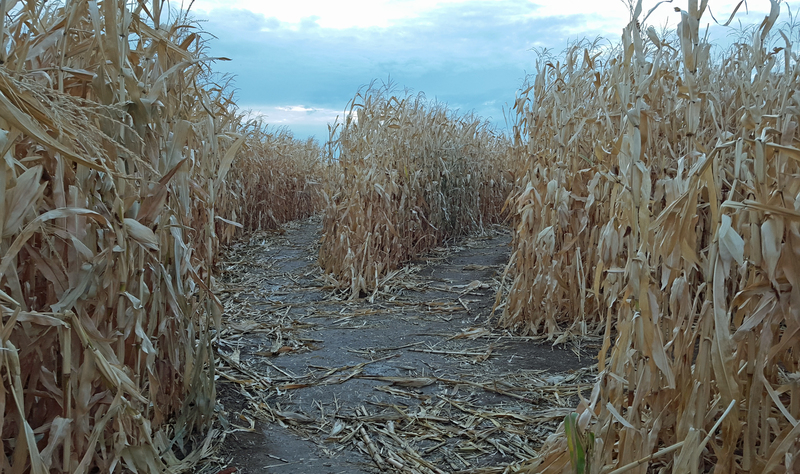 The current understanding is that maize was first domesticated around 9000 years ago in the Balsas River valley in southern Mexico, the main progenitor being Zea mays subsp. parviglumis. 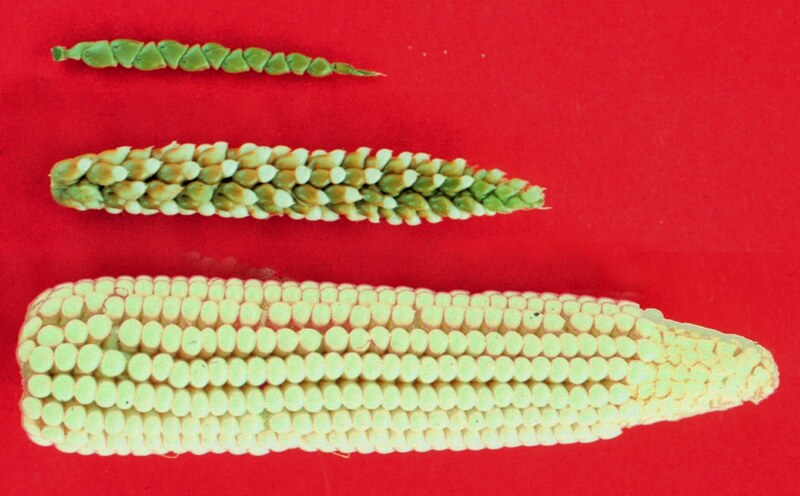 It is astonishing how drastically different in appearance teosintes are from modern day maize, but it also explains why determining the crop wild relative of maize was so difficult. Teosintes and maize both have tall central stalks; however, teosintes generally have multiple lateral branches which give them a more shrubby appearance. In teosinte, each of the lateral branches and the central stalk terminate in a cluster of male flowers; female flowers are produced at the nodes along the lateral branches. In maize, male flowers are borne at the top of the central stalk, and lateral branches are replaced by short stems that terminate in female flowers. This is where the ears develop. 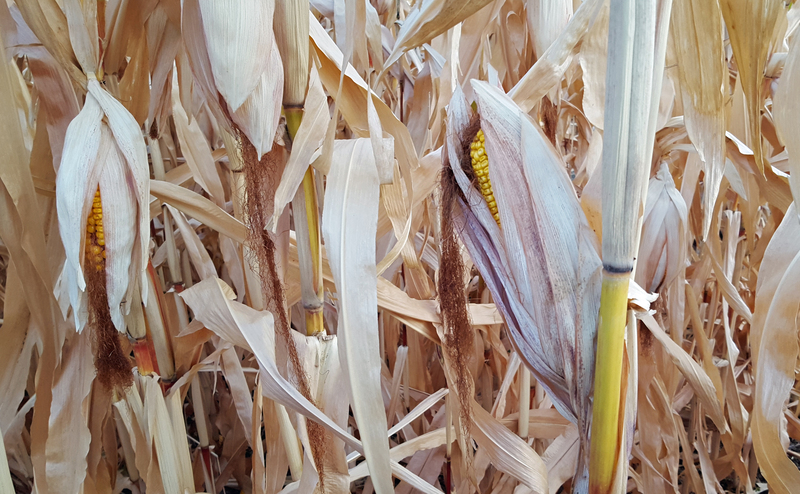 Ears – or clusters of fruits – are blatantly different between teosintes and maize. To start with, teosinte produces a mere 5 to 12 fruits along a short, narrow cob (flower stalk). The fruits are angular and surrounded in a hard casing. 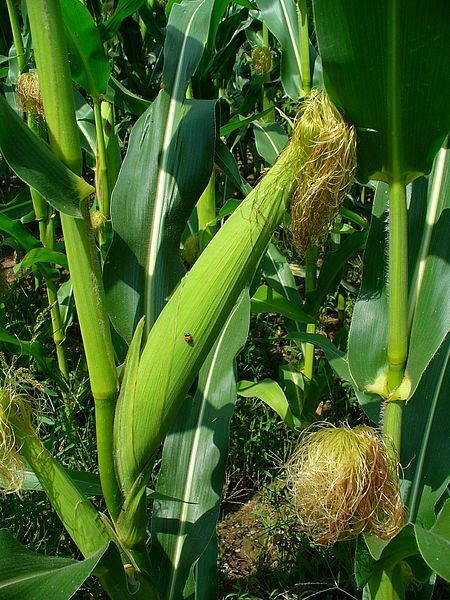 Maize cobs are considerably larger both in length and girth and are covered in as many as 500 or more fruits (or kernels), which are generally more rounded and have a softer casing. They also remain on the cob when they are ripe, compared to teosinte ears, which shatter. Evolutionary biologist, Sean B. Carroll, writes in a New York Times article about the amazing task of “transform[ing] a grass with many inconvenient, unwanted features into a high-yielding, easily harvested food crop.” These “early cultivators had to notice among their stands of plants variants in which the nutritious kernels were at least partially exposed, or whose ears held together better, or that had more rows of kernels, and they had to selectively breed them.” Carroll explains that this “initial domestication process which produced the basic maize form” would have taken several hundred to a few thousand years. 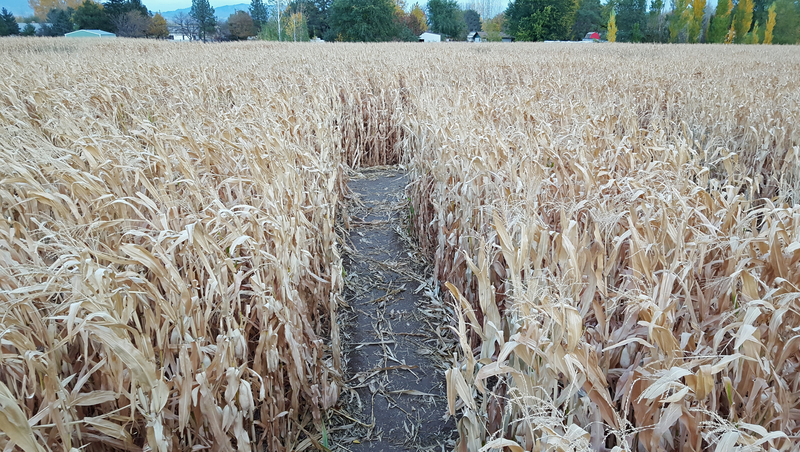 The maize that we know and love today is a much different plant than its ancestors, and it is still undergoing regular selection for traits that we find desirable. 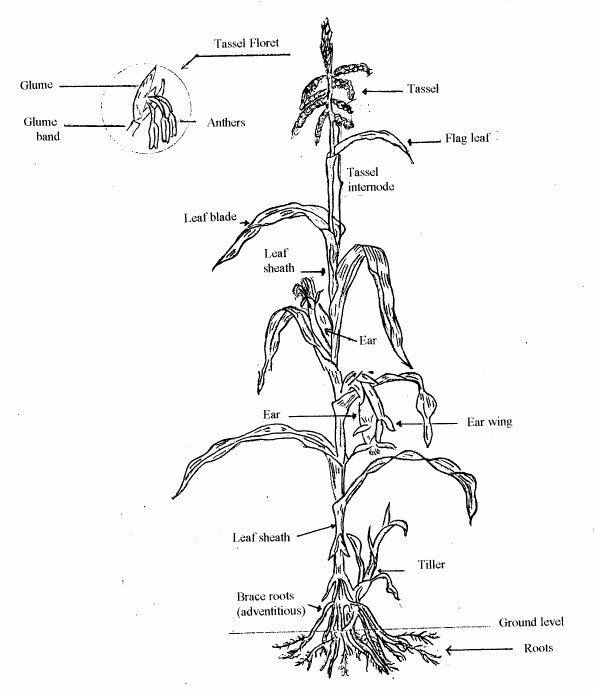 To better understand and appreciate this process, it helps to have a basic grasp of maize anatomy. Maize is an impressive grass in that it regularly reaches from 6 to 10 feet tall and sometimes much taller. 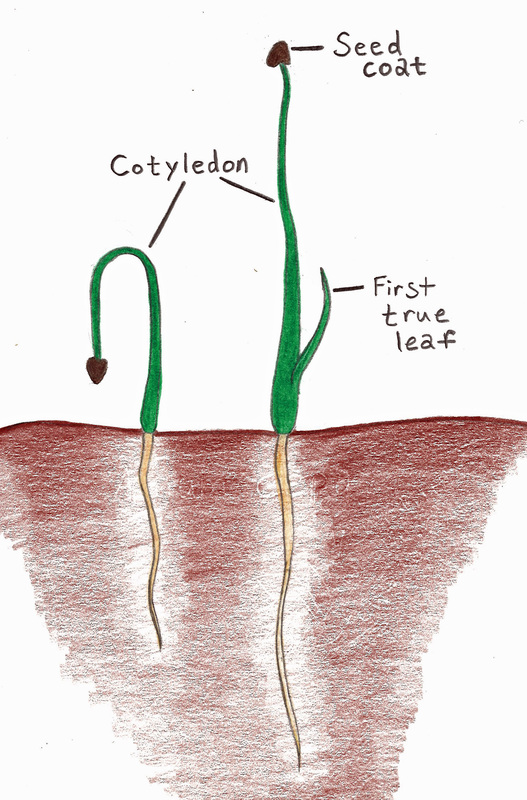 It is shallow rooted, but is held up by prop or brace roots – adventitious roots that emerge near the base of the main stalk. The stalk is divided into sections called internodes, and at each node a leaf forms. Leaf sheaths wrap around the entirety of the stalk, and leaf blades are long, broad, and alternately arranged. Each leaf has a prominent midrib. The stalk terminates in a many-branched inflorescence called a tassel. Maize is monoecious, which means that it has separate male and female flowers that occur on the same plant. The tassel is where the male flowers are located. A series of spikelets occur along both the central branch and the lateral branches of the tassel. A spikelet consists of a pair of bracts called glumes, upper and lower lemmas and paleas (which are also bracts), and two simple florets composed of prominent stamens. The tassel produces and sheds tens of thousands of pollen grains which are dispersed by wind and gravity to the female inflorescences below and to neighboring plants. Female inflorescences (ears) occur at the top of short stems that originate from leaf axils in the midsection of the stalk. Leaves that develop along this reduced stem wrap around the ears forming the husk. Spikelets form in rows along the flower stalk (cob) within the husk. The florets of these spikelets produce long styles that extend beyond the top of the husk. This cluster of styles is known as the silk. When pollen grains land on silk stigmas, pollen tubes grow down the entire length of the silks to reach the embryo sac. Successful fertilization produces a kernel. The kernel – or fruit – is known botanically as a caryopsis, which is the standard fruit type of the grass family. 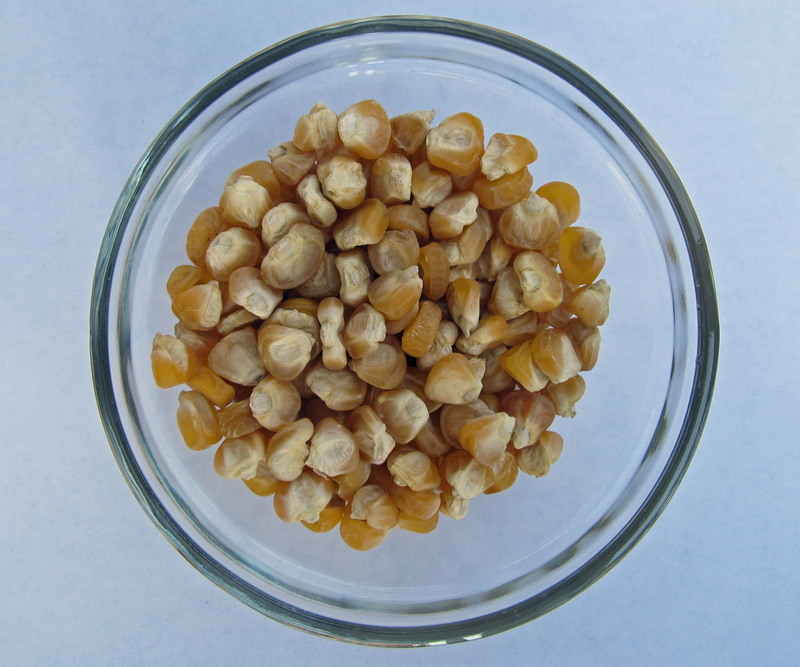 Because the fruit wall and seed are fused together so tightly, maize kernels are commonly referred to as seeds. The entire plant can be used to produce feed for animals, but it is the kernel that is generally consumed (in innumerable ways) by humans. There is so much more to be said about maize. It’s a lot to take in. 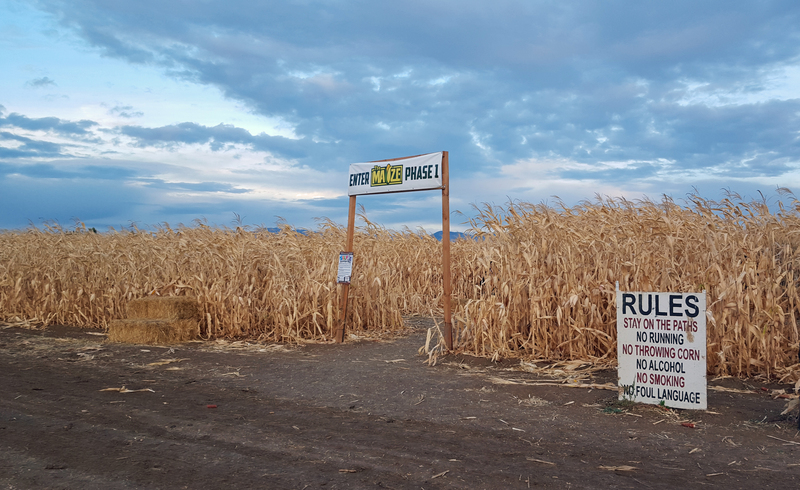 Rather than delve too much further at this point, let’s explore one of the other ways that maize is used by humans to create something that has become another feature of the fall season – the corn maze.